Fern R. Hauck, MD, MS is currently Professor of Family Medicine and Public Health Sciences at the University of Virginia. Dr. Hauck’s medical degree is from St. Louis University School of Medicine and her residency training was conducted at the Maine-Dartmouth Family Practice Residency in Augusta, Maine. She received postgraduate research and health policy training through the Robert Wood Johnson Foundation Family Practice Faculty Development and Research Fellowship at Case Western Reserve University School of Medicine, the Centers for Disease Control and Prevention’s EIS Program, and as Senior Scholar in Residence at the Agency for Healthcare Research and Quality, Center for Primary Care Research. Dr. Hauck has considerable international health experience and maintains an active interest in this area. She has worked in Southeast Asia, Africa and the Caribbean, including serving as a refugee camp doctor for a year in Thailand, where she provided training and care for Cambodian refugees. 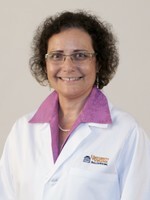 In October 2002, Dr. Hauck founded the International Family Medicine Clinic in the University of Virginia Department of Family Medicine, which she continues to direct. In this clinic, she and colleagues provide comprehensive primary health care for the growing number of refugees in central Virginia. She has also been developing educational opportunities for students, residents and fellows in international and cross-cultural health. She has done extensive teaching on cultural competency in the clinical setting with all levels of learners, including faculty and community physicians and nurses. Dr. Hauck’s research has focused on risk and protective factors for SIDS, with particular attention to the disparity in incidence between African American and white infants. Some of her recent work has focused on bed sharing in the African American community and cultural issues related to sleep practices. In addition, she participates on a number of national and international work groups addressing SIDS and the racial, ethnic and cultural factors that affect risk.